Forklift Accessories - Be Certified Today! 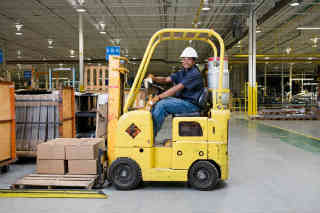 Operating forklifts entail numerous safety issues. The employer or owner of the forklift can prevent an accident by giving the operator with sufficient training prior to operation. The other mean to mitigate accident and any untoward incident is to equip the forklift with the required forklift accessories. These safety devices are installed on the forklift assisting the driver to improve the safe operation. The employer shall provide the operators with the necessary safety devices and accessories at his own expense and be responsible for the adequacy and care shall be taken to make sure that these forklift parts are in good working conditions. Accessories are required every time the equipment is operated or where is a practical reason for exposure to hazard in the workplace. 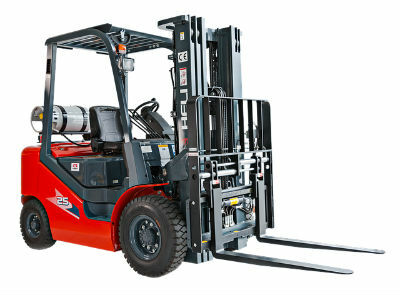 There could be some circumstances where forklifts are not originally fitted by the manufacturer with such devices, in such cases, the employer shall determine the risks of operation and equip the forklift with the type of accessories suitable for the work to be carried out and the operator shall use the devices. These two Maritime regulations specifically discuss safety devices on powered industrial trucks such as a forklift. It states that the eliminating and disconnecting of safety devices on forklifts are in strict prohibition. Therefore, if the manufacturer of the truck fitted the forklift with such safety devices, it should not be detached or made inoperative. The same regulations apply to other forklift parts such seat belt, mirror, horn, warning lights, fire extinguishers, etc. If these forklift parts are originally installed by the manufacturer, these should not be removed. Forklifts shall not be altered so that the relative positions of the various parts are different from what they were when originally received from the manufacturer, nor shall they be altered either by the addition of extra parts not provided by the manufacturer or by the elimination of any parts, except as provided in paragraph (q)(12) of this section. Additional counter-weighting of fork trucks shall not be done unless approved by the truck manufacturer. Whenever necessary and appropriate to the type of workplace where the forklift will be operated, provide the truck with additional visual (such as strobe lights or blinkers) devices. Read the reference to the ANSI/ITSDF B56.1-2011. Seat Belt – All of the new forklifts manufactured in recent years are required to have one, older ones may have not. If yours are old, then we strongly recommend the installation of the seat belt on your trucks. A lot of people preferred the light orange or red color so that they can easily see it worn by the operator. Forklift Rear View Mirror – It serves basically the same as the one in your car. It gives the operator the maximum visibility of his hind before reversing. Since mirrors are convex in shape, it gives the forklift operator a large amount of perspective and enough observation of this surroundings thus assisting in the prevention of collision in corners and in tight spaces. Horn – It is located in the steering column but it is also placed in the overhead guard. You can add another one for traveling backward. Strobe Lights – It could either amber or red in color. It alerts people that large piece of equipment is coming to their way. Blue Light or some they called pedestrian warning light. It is placed on the overhead guard and shines an intense light on the floor between 10 to 15 feet behind the forklift. Its use is when the forklift is coming down an aisle, it alerts anyone that might be coming heading to the same direction. Fire Extinguisher – If your work environment includes fire hazard then in that case, installing the fire extinguisher in your forklift can be a useful addition. What Accessories Can You Buy from Here?